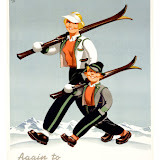 Austria holidays, Salzburg, Kaprun, Zell am See and so much more: Who visits Zell am See and Kaprun? 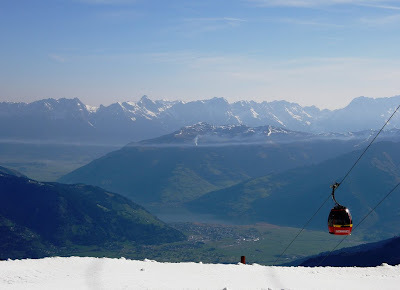 Who visits Zell am See and Kaprun? Kitzsteinhorn glacier ( note the snow!) where it is possible to ski throughout the year. Kaprun and Zell am See are popular tourist destinations within Austria. With the opening of Tauern Spa Kaprun, the Kitzsteinhorn glacier, a 36 hole championship golf course, winter sports, cycling and the lake at Zell am Zee the area is seen very much as an all season all destination what ever the time of the year you visit. Around 2 million visitors holiday in the area in each, with slightly more than half of these visiting in the November through to April ski season. For this six month period taking advantage of the winter sports and the extended ski season with the glacier on the Kitzsteinhorn, around a quarter of visitors are from Germany, followed closely at arpound 15% of the total being Dutch guests, after that around 10% are Austrian and another 10% visitors from the United Kingdom, closely and in more recent years an increasing number of Polish and Rumanian visitors, followed by Scandinavian visitors. 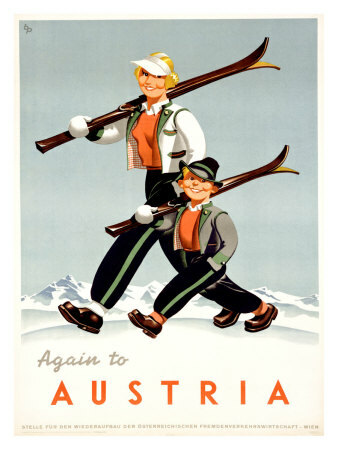 English is widely spoken across Austria, and Austrians are famous for their hospitality. In the months from May through to October around 900,000 take advantage of the area in and around Kaprun and Zell am See booking accommodation. Again unsurprisingly German visitors are most popular about a third of the overall total. Next most popular at about 1/8th of visitors is the home market for Austria, with the British taking up around 10% with the Dutch taking in excess of 7% of the accommodation. Over the last few years there has been an increase in the number of visitors to the area. With the new spa complex opening in Kaprun in November 2010, at a cost in excess of 85 million, and the extended ski season allowed by the Kitzsteinhorn glacier, it it is expected as a driver to confirm Zell am See and Kaprun as an all year resort. If you are looking for somewhere to stay in the area for 3-9 people? With the benefit of three bedrooms and three bath / shower rooms. Please consider staying at www.austria-holiday-apartment.com ?